My friends are always looking for ways to make extra money. They’re either looking to make a little extra to save, trying to pay down some debt or just trying to save up for something nice maybe for the holidays. I like to help them with finding great ways to make extra money, so I thought, why not write up an article to help more people? 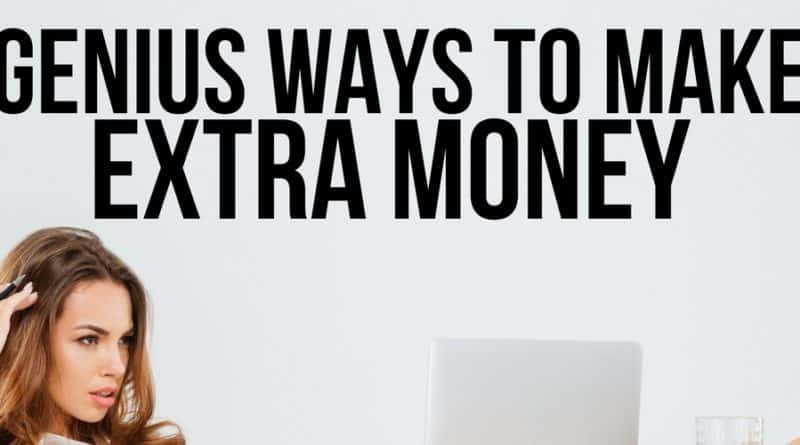 Therefore, I’ve decided to put together this list of ways to make extra money from home so that anyone who needs it can find ways to help make a little extra cash when needs are. 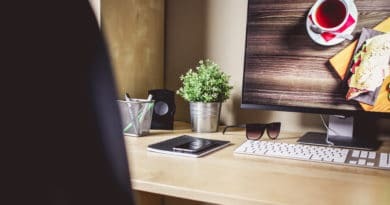 Be sure to save this and check back often as I’ll keep this post updated with new ways to make money from home quite often. Survey panels are becoming quite a popular way to make extra money easily. I highly recommend signing up for multiple panels to help improve your chances of making the most cash each month. I’ve listed the most legitimate survey panels below for you to try. Nielson Computer & Mobile Panel (US) – Register your devices and earn with the Nielsen Computer and Mobile Panel. By participating in Nielsen research, you can improve products and services you use online today. By using the internet as you do every day, Nielsen invites you to make a difference – and you can win prizes! Nielsen gives away $10,000 each month. Survey Downline– SurveyDownline is a service where residents of The United States, United Kingdom, Canada and Australia can take paid surveys and earn cash for their opinions. SurveyDownline is 100% free to join and you may cancel your account at any time. Swagbucks – This is the web’s most popular rewards program that gives you free gift cards and cash for the everyday things you already do online. Earn points when you shop at your favorite retailers, watch entertaining videos, search the web, answer surveys and find great deals. Redeem points for gift cards to your favorite retailers like Amazon and Walmart or get cash back from Paypal. My Points – Get free gift cards or PayPal cash for taking polls, answering surveys and so much more! Earn $5 when you take 5 surveys! Green Panthera – Take part in surveys and GET REWARDS for your opinion! Earn Cash for completing surveys! Plus $5 Registration Bonus! I Survey World– I Survey World is a free service dedicated to helping you earn money completing online surveys. They hand pick for you the best companies willing to pay for your opinions based on your profile so you can earn more money. More and more there is a growing demand for content editors and proofreaders, simply because of the massive increase in content creation online. If you’re interested in making money online as a proofreader, this is the best time for you to start getting into it, since so many website owners and content creators desperately need your proofreading and editing services. I recommend that you check out Proofread Anywhere. It’s a great course that will guide you in becoming a professional and well-paid proofreader. Trusted Translations is always looking for a number of online proofreaders from anywhere around the world. There a variety of ways to get paid with Trusted Translation including International Bank Wire, Check and Paypal. You can sign up for this proofreading job online by filling out this online application. Text Master is looking for proofreaders from all around the world. They pay through PayPal. You can apply to become a Text Master proofreader by clicking this link. If you enjoy writing, then you might want to consider working as an online writer. This is a great way to make a side income for writing short articles, essays or whatever you feel comfortable writing. If you’re new to online writing, I recommend that you use this amazing course. It’s going to help guide you on how to become an amazing online writer and earn some real cash for your writing. If you feel fully confident in your writing skills, here are some sites you can check out if you want to start writing online. Listverse – When I first started my online journey, this was one of the first sites I tried to write for to earn some money. They’ll pay you $100 via Paypal each time your article is accepted and published. You can check them out here. Make A Living Writing– If $75-$150 per article sounds good to you, then you need to check out Make A Living Writing. You can read more here. Hirewriters– Another great place to make money for writing online. If this sound like a great opportunity, you can check them out here. Although Data Entry jobs are very popular, there’s not really a lot of (legitimate) options out there. There are a couple of companies who regularly offer data entry tasks online for extra money. There’s not always work available, but when there is, it is an easy way to make a few extra bucks here and there. 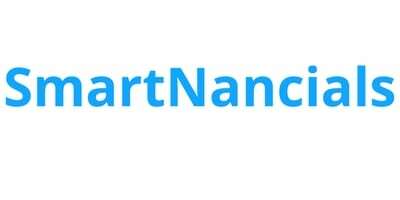 SmartCrowd – You can earn money by completing small tasks that you can fit into your schedule. You work for yourself on your own terms and do as much or as little as you can to substitute your income. Serve as an online juror – You can start earning $-5 – $10 per case with eJuror. You can check them out here if this sounds interesting to you. Become a mommy or daddy blogger – Blogging is becoming increasingly popular and I can attest to why since it’s helping me earn a good living online. 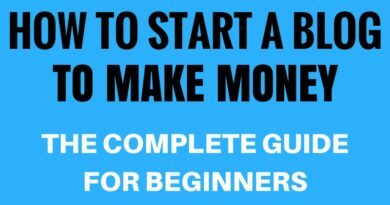 If you want to become a blogger like myself, I recommend that you sign up for this free e-course below and learn how to start blogging to earn money in a couple of days. Sell your photos- If you take great looking photos, you can be making some extra money by selling them to stock image sites. Shutterstock is a great place to so this. If you submit your photos and they’re accepted, then Shutterstock subscribers start downloading your images, you can earn money for each download. You can find out more about this here.